Fitness First, fake grass next! 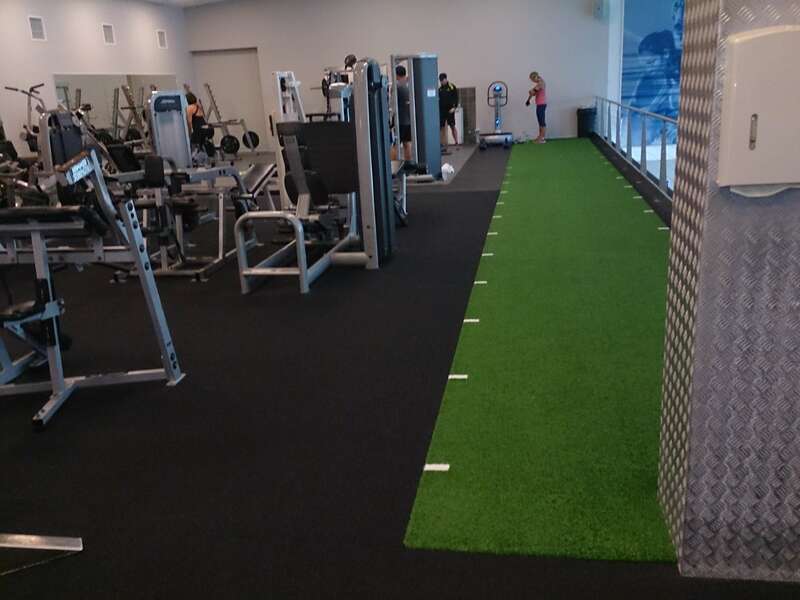 Customised Surface-It artificial grass incorporating programmed distance line markings is now being used in a number of fitness centres and gymnasiums around Sydney, specifically for ‘sled training’ purposes. We find the synthetic turf offers just the right amount of resistance for a good workout without damaging floor surfaces and gym mats. The picture shows the sled area installed recently at Fitness First Sylvania. For more information on our customised synthetic gym flooring products call 02 8324 1314. 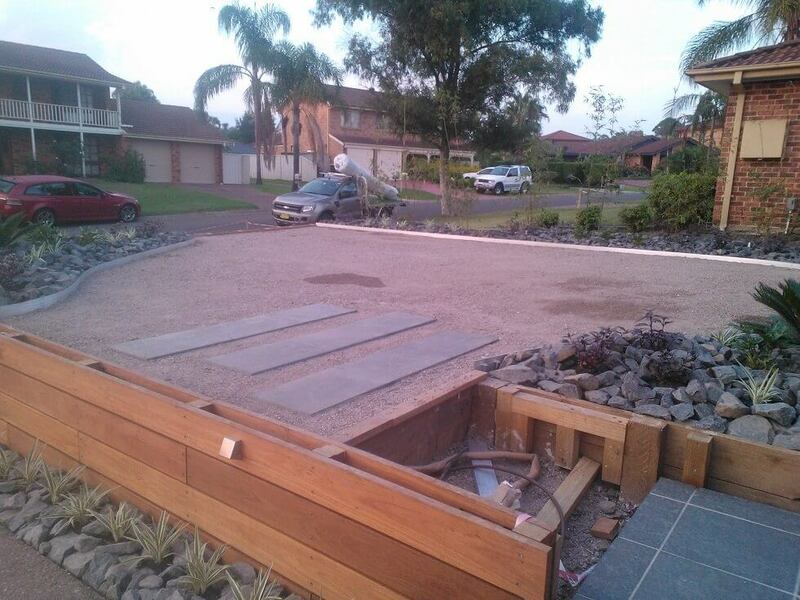 Recently our installation team were set a residential front yard makeover challenge by a local landscape gardener in the south western suburb of Casula, Sydney. 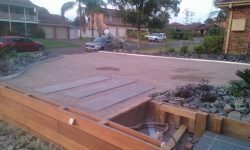 What ensued was a couple of days hard work, progressively highlighted in our pictures, that resulted in a spectacular transformation utilising our FB40 which is proving to be an extremely popular choice of artificial turf in Sydney. 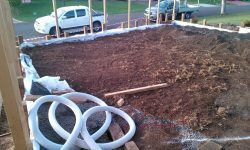 The lawn area has been boxed and raised from street level, interspersed with solid steppers and surrounded by a unique rockery featuring water-wise plants. 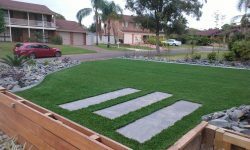 If you’d like to explore the possibilities using artificial grass, Sydney metropolitan is where you’ll find us on 8324 1314. Yours could be the next outdoor renovation! Exclusive new 30mm grass for Hills! 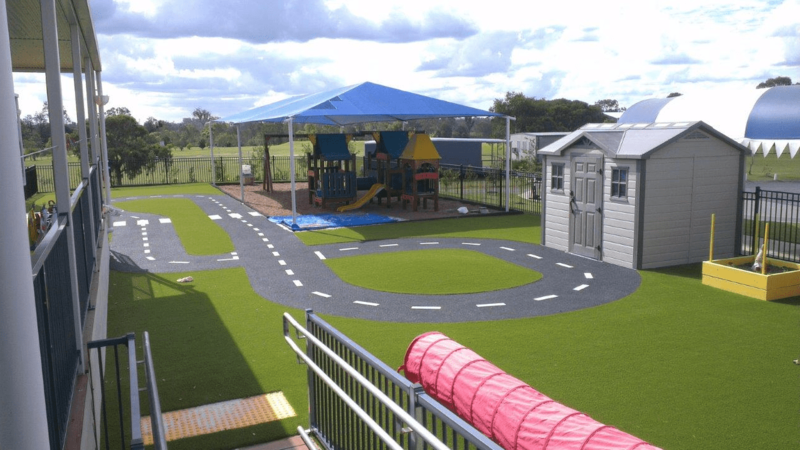 Recently we laid new grass as part of the synthetic make over we completed at the childcare centre at the Hills International College at Jimboomba, Brisbane, Queensland. 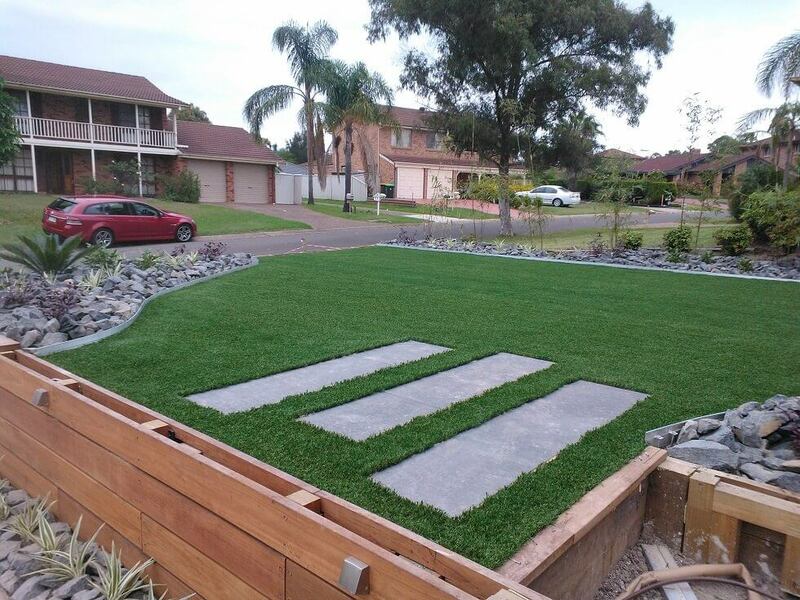 Perfectly suited to the more sensitive requirements of toddlers in an outdoor play environment where a less abrasive surface is important to prevent bumps and grazes, the dense but soft 30mm synthetic grass offers a long lasting durable solution for high traffic areas. 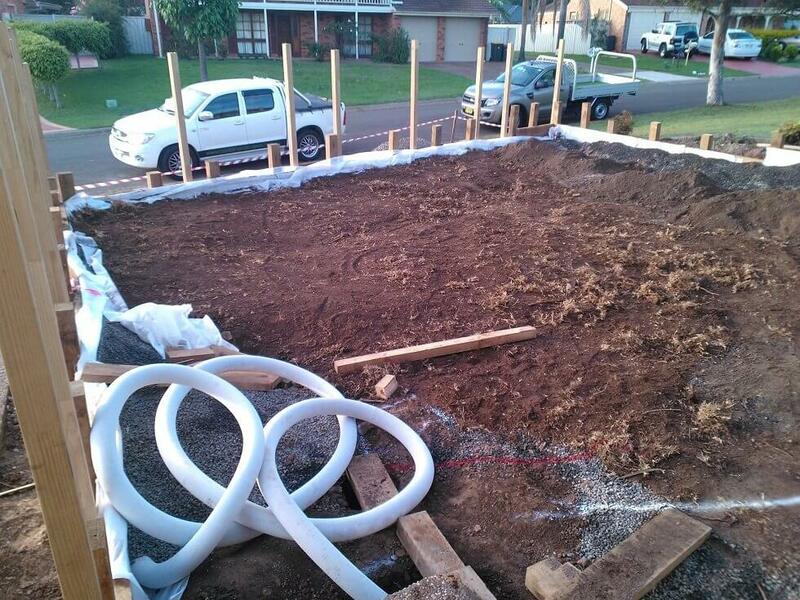 For more information on this grass and how it can work for you call 8324 1314 in Sydney or if you are in Brisbane call us on 3041 4121.